Yet there is another level, another reality that can radically transform our daily routine and even the tenor of the world around us. It is the level of our faith, where celebration of the Paschal mystery turns every Sunday and feast day into the First and Eighth Day of the New Creation, enabling us to participate already here and now in the coming glory of the Kingdom of God. This second level, this other realm or dimension of our life, is one of prayer and silent meditation, of life-giving communion, of joyous celebration, and of healing, reconciling love. A major reason for the Lenten journey is to equip us for the spiritual warfare necessary to hold these two levels together. As problems and tensions mount in our personal and collective life, we are constantly tempted to focus on one level or the other. 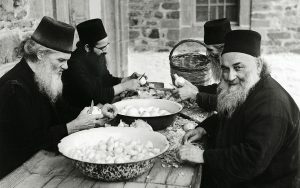 Either we give in to the secularizing pressures of the society we live in and pay mere lip-service to the faith, power and authority of Orthodox Christianity; or we reject the reality of this world by seeking solace in the esthetically beautiful worship of a comfortable church of our own making. Either of these choices merely deepens the compartmentalization of our life and activity. And we wonder why the experience of Sunday morning seems to have so little to do with the realities and urgencies of Monday. As we move further through the Lenten fast—in a world of conflict, brutality and injustice—it is important to remember what Scripture and the entire Tradition tell us about this world. Although the fact is hardly reflected in the morning’s headlines, the world was created, and is constantly being recreated, by the God of love and mercy, whose deepest desire is to lead everyone, including ourselves, to the perfection and joy of eternal communion in the life of the Holy Trinity. 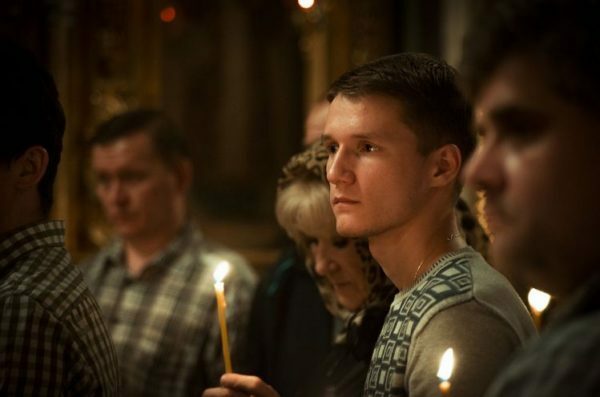 This is a world where people of faith can behold the hand of God in everyday miracles of forgiveness and reconciliation; and in more astounding miracles of unexpected healings, weeping icons, and self-sacrifice. This is God’s world, and we are part of it. As such, our primary calling is to announce and to live out the Paschal message of salvation and eternal life, offered through the victory of Christ over the powers of sin and death. To do so, however—to facilitate the transformation of the fallen world into a world of faith and love—requires that we devote our time and our energy to the arduous work of inner transformation and spiritual awakening. 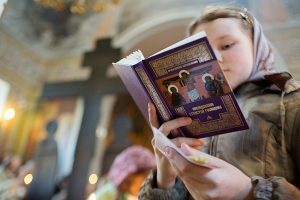 The Lenten period invites us to do this by increasing our prayer, by fasting, by giving more attention to the poor and needy around us, and by nourishing ourselves with frequent readings from Scripture and the Holy Fathers. I’d like to conclude with a word about these readings. Of the many appropriate passages from patristic sources that can provide Lenten nourishment, one of the most powerful and beautiful concludes the Paschal homily by Melito of Sardis, composed toward the end of the second century. Quiet and repeated meditation on its vision of Christ offers one way to “unite the two levels,” to lift our broken and weary world to the very heights of heaven. “I am your freedom,” Christ declares. Melito of Sardis, On Pascha. Tr. Alistair Stewart-Sykes (New York: SVS Press, 2001), pp. 65-67 (translation slightly modified).